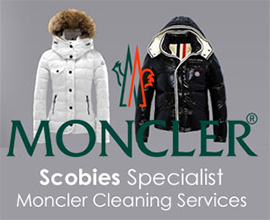 Scobies offer professional soft furnishings dry cleaning, including curtains and bedding. Autumn or Spring Cleaning solutions for your home or work place with hand finishing and attention to detail you will not experience from any other dry cleaners. We are the only London dry cleaners to use to use an environmentally friendly solvent called Hydrocarbon, it is odour free, colour safe, shrinkage free and the mildest and the safest solvent suitable for furnishing fabrics. Scobies are happy to take down your curtains, take them away and return them fresh and clean. We will also help you re-hang them, just the way you want them. Scobies offer a specific Collection & Delivery service for customers to have their curtains, furnishings and bedding professionally dry cleaned. If you are unable to take your items to either one of our branches, please call 020 8693 2754 or email us at scobiesvalet@btconnect.com and we will collect* them for cleaning and return them in pristine condition.